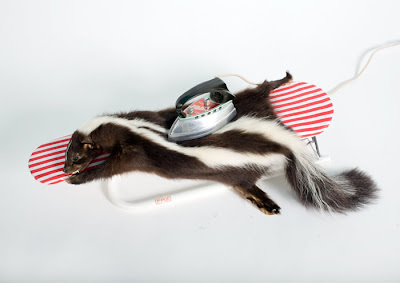 Taxidermy artwork by Idiots | WRITTENONSKIN. I almost feel guilty when speaking about the art in taxidermy. But the work of Dutch art collective ‘Idiots’ is truly impressive. In 2009 I interviewed them for ZOO Magazine. 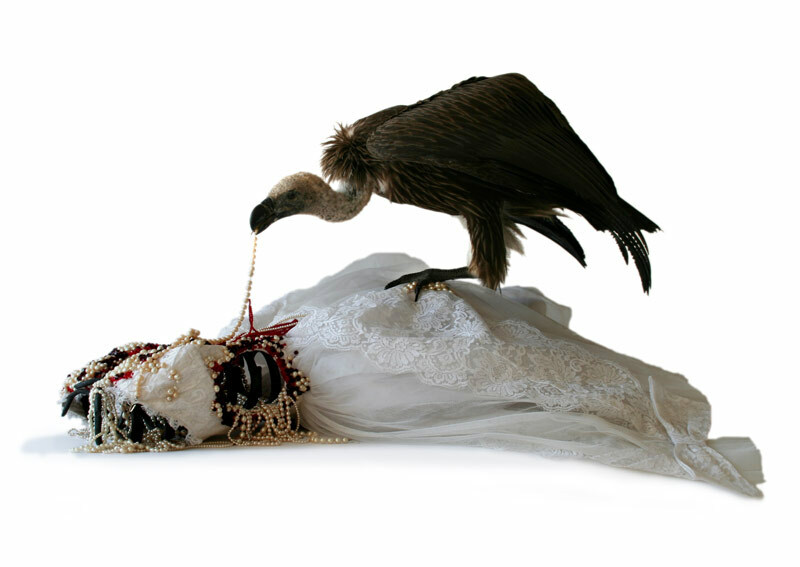 Several years ago, three Dutch web and graphic artists – Afke Golsteijn, Floris Bakker and Ruben Taneja – began collaborating under the collective moniker ‘Idiots.’ The name referred to the fact that one had to be truly stupid to do what they chose to do: create non-commercial art installations around the theme of death. 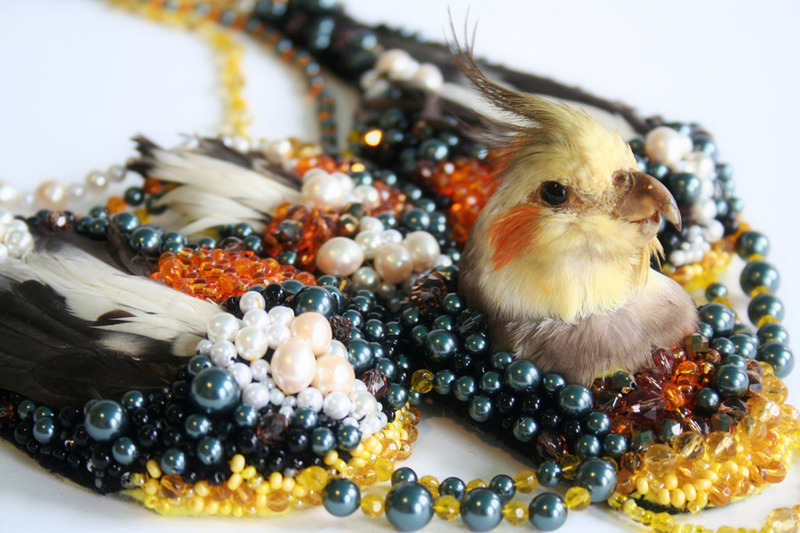 Real animals are treated with materials such as glass, silver, textiles and embroidery to create an unusual mix of sculpture, jewelry, handicraft and taxidermy. In a twisting play between fantasy and reality, they speak of heavy themes such as life and death, and beauty and restriction. 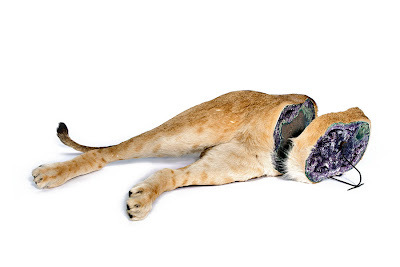 In the hands of Idiots, the taxidermied beasts are transformed into creatures of beauty. New in 2012: “GEOLOGISCHE VONDST II”. This work is a crystalized version of the work “OPHELIA” from 2005 and is made from the other half of the same lioness. The inside is made from polished amethyst and vulcanic rock.